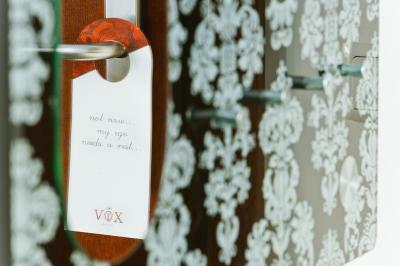 Lock in a great price for VOX Design Hotel – rated 8.1 by recent guests! Location is perfect . Breakfast was delicious. You get there everything you need. 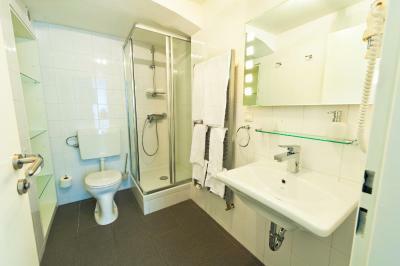 Great Location, very close to the innere stadt. Nice big room with great furniture. 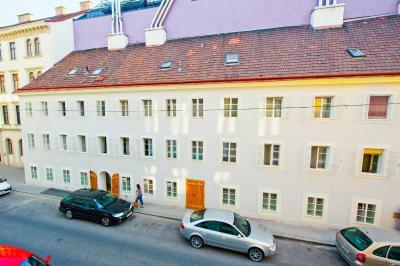 Location is in the second district of Vienna but not too far from center by walk. However, it’s very close to the Hop on hop off stop and close to supermarket, restaurants. The Staff is very helpful and friendly. Very nice and helpful staff. 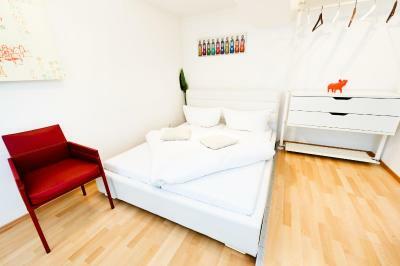 Good location, very clean, big room. Everything was perfect! Near the city center, subways, supermarkt. Clean and a lot of space. I like everything but mostly I like spent little more time in a new place. 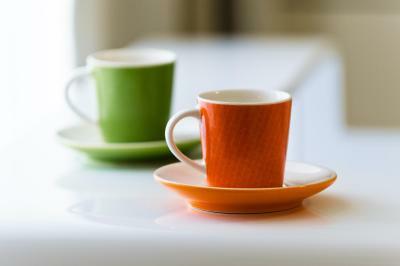 Proximity to city center, quiet street, cleaning done daily, complimentary nespresso capsules, instant coffee, tea and milk every morning. Minibar, Nespresso machine and electric kettle in the room. 24/7 support call center. Very helpful staff. This property met all expectations derived from it photos. Charming , comfortable and so so relaxing . Totally worth it for the price!!!!! 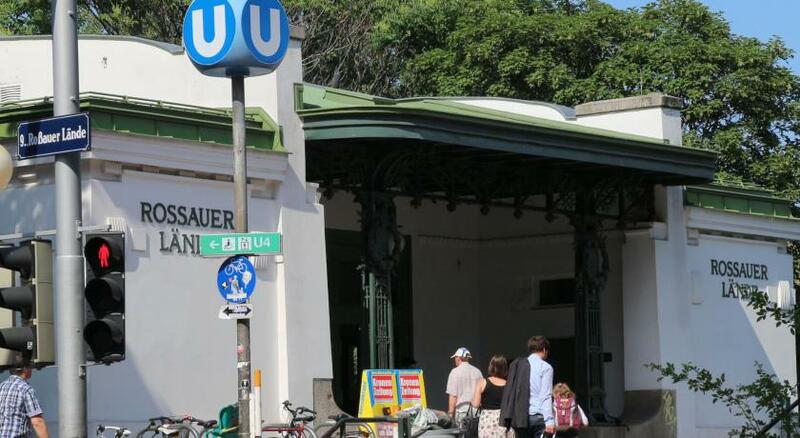 VOX Design Hotel enjoys a central location only a 5-minute walk from the Augarten Park, the Schottenring Underground Station, and Vienna's city center. WiFi access is free of charge. The spacious and bright rooms are individually designed in Art Nouveau style. Every room features a flat-screen cable TV, a mini-bar, a seating area, a safe, and a private bathroom. Breakfast will be delivered directly to the room. 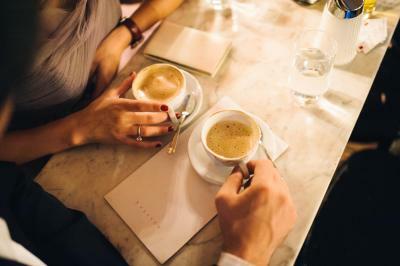 Several restaurants serving Austrian and international, as well as kosher, cuisine are nearby. Many bars, pubs and night clubs can be easily reached from the VOX Hotel. 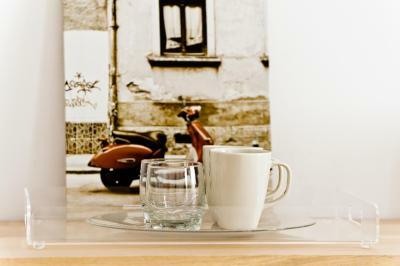 When would you like to stay at VOX Design Hotel? Spacious room with a flat-screen cable TV, a minibar and coffee and tea making facilities. 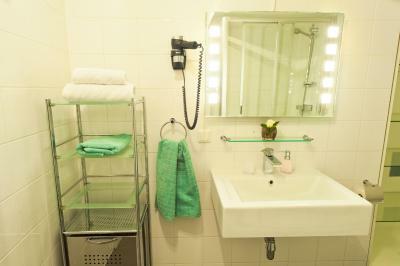 The room has a bathroom with all toiletries. 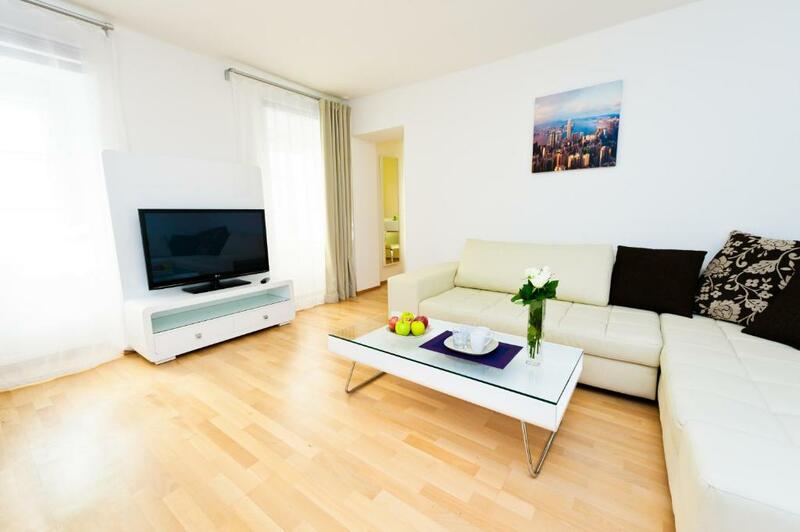 Spacious and modern suite with one bedroom, a separate living room with a sofa bed and a large sitting area with a Nespresso machine and a flat-screen cable TV. The room also has a safe and minibar. What is VOX all about? It is about spacious rooms, exclusive design, convenient location, friendly reception and much more. We are looking forward too welcoming you at our Hotel! 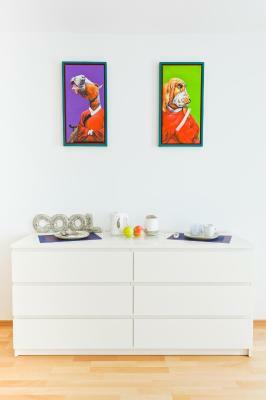 House Rules VOX Design Hotel takes special requests – add in the next step! 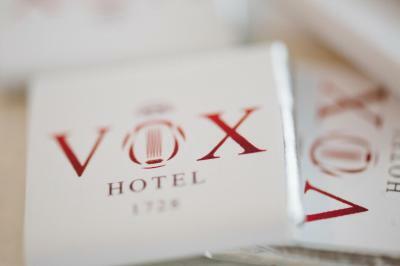 VOX Design Hotel accepts these cards and reserves the right to temporarily hold an amount prior to arrival. Please note that the reception is open from 9:00 until 18:00. Late check-in is possible via a key save box. Please contact the property if you expect to arrive after 18:00 for check-in arrangements. Please note, that there is one parking voucher available per day. This will be handed out in a first come first serve way. It is not possible to reserve it in advance. I liked everything about this place. For such a price in Vienna I think it would be good if the hotel fund a way to get breakfast in with a cafe nearby! Otherwise location is ok and although reception closes at 1800 I got my printed invoice in my room! So well done! Spacious room, excellent staff, wonderful breakfast. 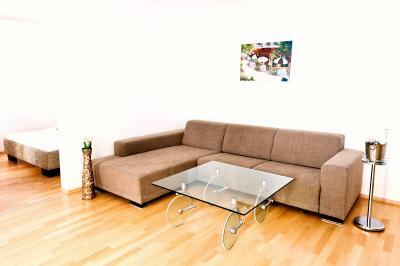 good location 6 minute walk from schottenring station (tube and tram), 2 stops on the tram from the city center. supermarket (bipa) nearby. internet was great. staff was very helpful. The lobby could be bigger and there are no lifts. Amazing rooms, spacious and clean. The staff is nice and helpful. 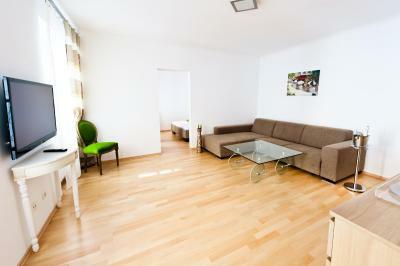 The location is just a few minutes walk from the city center. 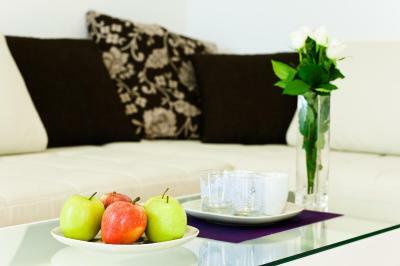 This is a good apartment house which serves breakfast in-room. 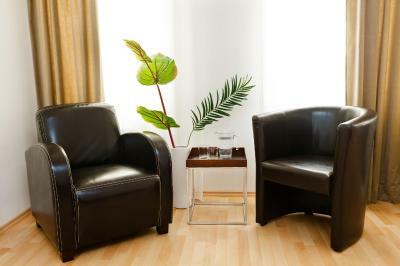 The room was comfortable, clean and well equipped (ironing, tea kettle, tv) with nice furniture. It is not luxurious, nothing fancy, but well maintained. I did not see any elevator, so be careful if you have mobility issues. It is located in a residential area, there are several restaurants around, but it is not particularly great in terms of public transport. 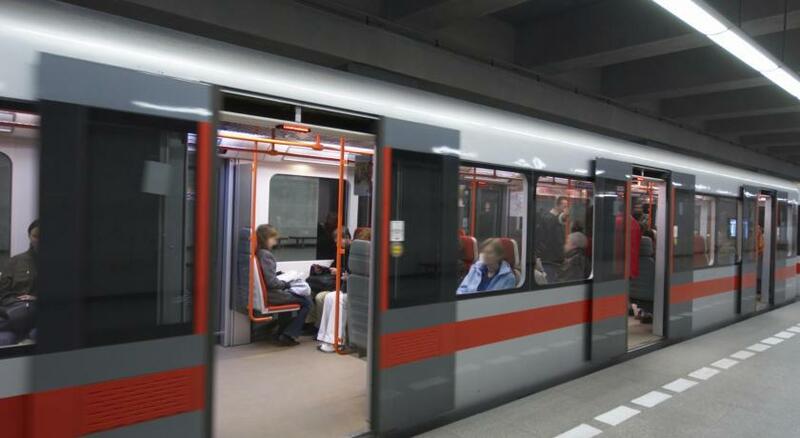 However, trams and u-bahn are fairly close (it is Vienna after all). 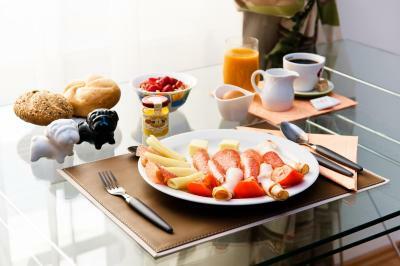 Breakfast is offered in a vegetarian or non vegetarian version. I booked the room with the breakfast included. There is no breakfast room, so it is served in your own room on a regular tray. It is an average breakfast. It has enough food (boiled egg, two pieces of bread, one yogurt, ham cheese and butter), but I believe for 10 euros you are better off in going in a cafe/bakery around. I paid 52 + 10 breakfast. Not a great deal overall. Communication with the staff was not excellent, particularly because we needed to have breakfast at a certain hour as we were travelling for work. We needed to contact the staff in the morning in order to have our breakfast and still the breakfast arrived late. For the rest the room is very nice. The room was dusty and smelt terrible when we first entered the property. Parking is a problem, only 15 minutes to landing - if there is free space on street. But it is centre of Vienna. So parking you must calculate about 20€/day somewhere around. The staff is extremely confused and some of them are unpolite. Beds are very comfortable. Location is ok. This place is very rugged, it didnt feel clean at all, not even the glasses and the toilette seat were sealed. The 'design' part of their name is laughable to say the least, it's would be more true to a Vox Yard Sale. The photos on the web look nothing like the real deal and all of this wouldn't be a problem if the place had 2 stars and was half of its price. Also, there is no free parking place on the premises. The stuff people were fine and the location is, I'd say, their biggest and the only plus. Could have benefitted from a microwave and / or a small toaster oven. Some dish soap to clean my own dishes would have been good too. The apartment was great, spacious and clean. Perfect for my stay. Highly recommended and close to the tourist part of the city / shops and restaurants.